Malden Arts envisions a culturally vibrant City of Malden where each person’s life is enriched by experiencing, learning about, or creating art—and where artists and others find welcome, community, and inspiration. With our help, Malden will become a shining example of how a city that fully embraces the arts can gain new vitality and become an increasingly attractive and rewarding place to live, learn, work, and visit. Malden Arts was founded in 2006 by local artists. Our first project was Window Arts Malden, which won a gold star award from the MCC. email info@maldenarts.org to join our mailing list. 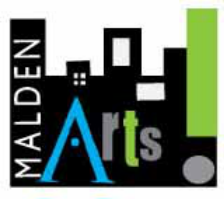 Malden Arts is a 501c3 non-profit organization made up of 100% volunteers. Please help us grow the arts in Malden by making a tax deductible donation to us. While we welcome in-kind donations, financial contributions are needed to help us carry out our programs.